Snapchat made a name for itself thanks to its non-shareable, disappearing images and videos. To this day, it’s still very difficult to grab a screenshot of a Snapchat. There are workarounds, but if Snapchat catches you, your account could be suspended or banned. However, just because you can’t indefinitely keep the snaps you receive doesn’t mean there aren’t some ways to enjoy the content for a second time. That’s right—it’s possible to replay a Snapchat! Before we go any further, make sure you’re using Snapchat version 9.29.3.0 or later. If you’re running an older version, the feature will not be available to you. You might also want to review Snapchat basics What Is Snapchat and Is It Right for You? 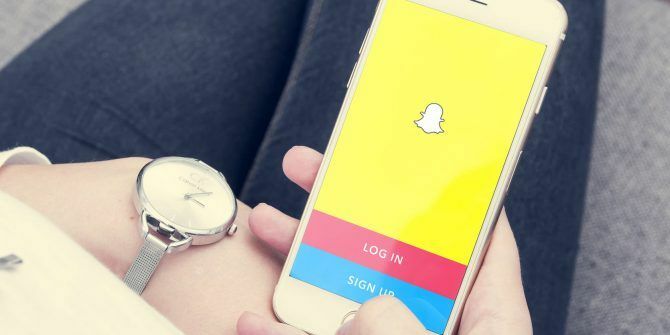 What Is Snapchat and Is It Right for You? What is Snapchat? How does Snapchat work? Is Snapchat right for you? We answer all of these questions and more. Read More if you’re a newcomer. Also, note that you can no longer buy Snapchat replays. Snapchat has stopped selling them. If you have some unused purchased replays, they are still valid. Once you’ve confirmed that you’re using the newest version of the app, just follow the simple step-by-step instructions below to replay snaps you have received. Make sure you’ve viewed the snap at least once. You won’t see the replay option if you haven’t. When you have watched the snap once, stay in the inbox. If you leave the inbox, you will not be able to access the replays. Tap and hold on the snap you want to replay. The snap icon will fill up. Select Tap to view to watch the snap for a second time. The good news is that Snapchat no longer limits you to one replay per day; you can watch all the snaps you receive twice. It’s also important to know that if the person sent you a private chat, they will know you have replayed it; it is impossible to replay snaps secretly. For more Snapchat tips, check out our articles about the meaning of Snapchat’s many emojis Snapchat Emojis: We Explain Their Meanings to You Snapchat Emojis: We Explain Their Meanings to You Are you wondering what the Snapchat emojis mean? Let us help you understand Snapchat emojis and their meanings. Read More and how to make a Snapchat filter How to Make a Snapchat Filter in 11 Easy Steps How to Make a Snapchat Filter in 11 Easy Steps Ever wondered how to make your own Snapchat filter? In this article, you'll see how to make a Snapchat filter and share it with friends in no time. Read More . Lol what year is it? This feature had been available for a very very long time.